Anneka hosted a supersonic media based panel at this years VegFest London 2017 on the topic of: ‘How you can use your position as a positive role model for veganism’. 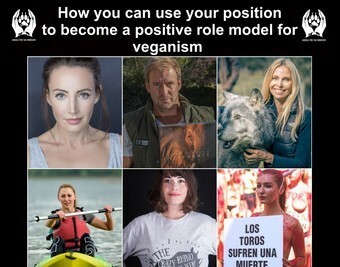 Each of the Angels spoke about how each of them has used their professional position in life in order to make a difference for animals and veganism. Anneka was joined by Disney Actor Dan Richardson, Actress & Model Heidi Mumford-Yeo, Peta Model Daryna Milgevska, Vegan Athlete Annie Robertson-Connolly and Producer Carla Fraser was featured in the talk.